The poetic nature of Le Romain being selected off the bench by Greg Ingham’s GPI Racing to run in The Everest isn’t lost on part owner Tony Carusi. Almost a decade ago Carusi purchased a mare called Mignard, a third generation mare bred by Woodlands Stud, from a Darley dispersal sale. Le Romain takes his place in The TAB Everest. (Pic: Steve Hart). About a year earlier Darley had bought the Woodlands Stud empire from Greg Ingham’s father Jack and uncle Bob. “It’s funny how we ended up getting their slot,’’ Carusi said. Mignard proved to be a shrewd investment and Le Romain was her third foal, he’s won three Group 1 races and almost $2.9 million in prizemoney. Le Romain is something of a super sub for the $13 million TAB Everest (1200m). Carusi and the gelding’s owners elected not to run Le Romain in the Epsom Handicap, preferring to set him for the Sydney Stakes on Everest Day in the hope a slot became available in the meantime. When Invincible Star, GPI’s original selection, was found to be lame after failing in the Premiere Stakes last Saturday Carusi’s prayers were answered though he's been puzzled as to why he was consistently overlooked. “We’ve been hanging around hoping to get a slot,’’ he said. “We stayed away from the Epsom because of the weight and decided to sit back and hope it pans out our way. We feel pretty lucky. Le Romain becomes the third runner in the Everest for trainer Kris Lees. The Newcastle trainer didn’t have a runner in the race a month ago but he took over the training of TAB’s runner In Her Time when Ben Smith was suspended last month and his classy three-year-old Graff was snapped up by Max Whitby and Neil Werrett last weekend. 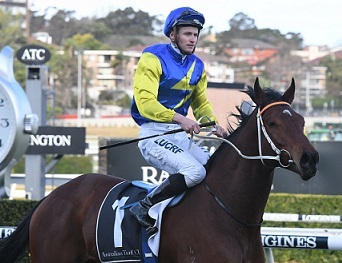 A first-up win in the Show County Quality (1200m) under 61kg proved Le Romain had Everest credentials, he had no luck in the Tramway Stakes before giving Winx something to chase in the Group 1 Colgate Optic White Stakes over the mile. “For a second we thought he was going to push her but she’s one of a kind,’’ Carusi said. Le Romain is a $21 chance with TAB in an ever widening Everest market behind $7 equal favourites Santa Ana Lane, Vega Magic and Trapeze Artist. Glyn Schofield will ride the six-year-old at Randwick on October 13. GPI Racing’s spokesman Andrew Williams said Ingham was disappointed for the connections of Invincible Star with having to make a late change. “We were so happy to take Invincible Star when we did, we followed her the whole way through and we loved getting her at that particular time,’’ Williams said. “But to be able to have Le Romain as a replacement at short notice is huge. In Greg’s words we are taking a warrior to war.